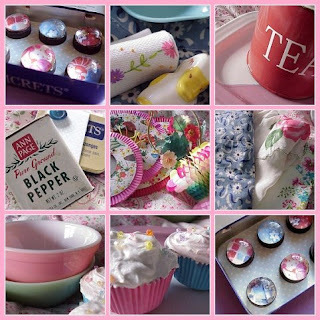 I was looking around online and saw this really cute idea... because all of my friends are at the point in their life where they are starting to aquire their own kitchen stuff, I think it would be so fun to have a vintage kitchen swap. The idea being this: everyone gets some fun antique or vintage kitchen stuff and brings it to a little get together. Then draw names and share! I love having all different colors and stories behind the fun things around the house! It gives it character! sorry, the link is long.